Francophones in New Brunswick have filed a legal challenge of the new electoral boundaries map, set to be used in the September provincial election. Two Acadian voters have filed a legal challenge of the new provincial electoral boundaries map. Leo Comeau, of Neguac, and Conrad LeBlanc, of Memramcook, are asking the Court of Queen's Bench to review the boundaries for their ridings in time for the September election. Conrad LeBlanc says the province's new electoral boundaries map violates the constitutional rights of francophones. (Marc Genuist/CBC)​They say their ridings used to be predominantly francophone, but now have a majority of anglophone voters. The Acadian Society and the Association of francophone municipalities, which were considering filing a legal challenge last year, have also signed on. "Our constitutional rights have been violated and that, to me, is unacceptable," LeBlanc said during a news conference on Wednesday. The provincial government has not yet filed a statement of defence. The new map, released last April, reduces the number of ridings to 49 from 55 and moves some francophone municipalities into majority anglophone ridings. LeBlanc and the coalition contend the provincial government and the independent Electoral Boundaries and Representation Commission that drew up the new ridings focused too much on trying to get the same number of voters in each riding. "They were saying openly that the French factor is not an issue here, it's just numbers," said LeBlanc. But each linguistic community has to be fairly represented in a bilingual province, he said. Memramcook, for example, used to be 70 per cent Acadian and 30 per cent anglophone, said LeBlanc. Now, it's the other way around, after the village was merged with Sackville, he said. "Flip flop." When designing the new map, the commission was guided by an electoral quotient of 11,269, which was the number of voters divided by the 49 ridings. Each proposed riding had to be within plus or minus five per cent of that quotient. Elections New Brunswick has said it's preparing for the Sept. 22 vote, based on the new map. If it were to be ruled unconstitutional, it could cause chaos for the political parties that have been forming riding associations and nominating candidates. LeBlanc says that while the matter may not be decided before the election, the challenge will continue. 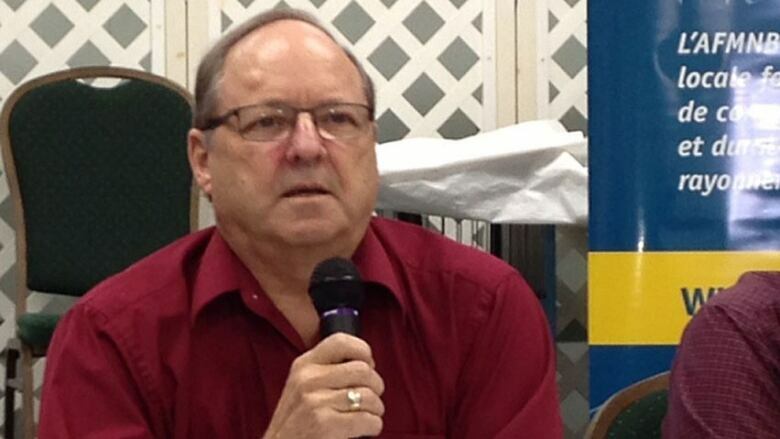 He wants the court to force the provincial government to redraw the ridings to ensure francophones have an opportunity to elect a francophone MLA in the future.